"Life's short, enjoy the ride!" 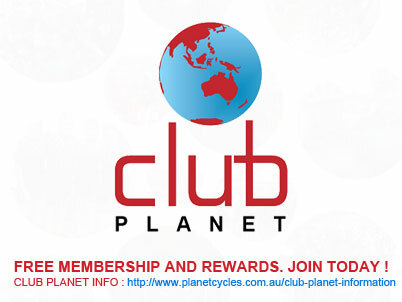 Planet Cycles has an extensive range of mountain bike demo bikes which can be ridden most days of the week. We have great access to some quiet streets around our store and customers are welcome to come in and take one of our bikes for a test ride and compare different brands, models and styles. The sky is the limit! Would you buy a new car with out driving it ? Would you buy a new stereo without listening to it ? Then come on it to Planet Cycles and try before you buy. Test ride a bike today and be sure what you want is what you get. And while stiffness, Brain technology, and geometry features are cool and all, we know what you're thinking, "What about the weight?" We're glad you asked. With the goal of the new Epic to be the fastest XC mountain bike we've ever made, weight was at the top of our priorities list. We started with an efficient frame layout and tube shapes that feature clean cable routing, integrated channels through the shock extension, straight tubes with less curves, and optimised torsion profiles in every section. And if you're curious, this weight savings is equivalent to shedding a chainstay and shock extension from the previous Epic—nearly 525 grams. The build of the Epic Expert meshes performance with value, featuring a 12- speed SRAM GX Eagle groupset, SRAM Level TL brakes, and a hand-built Roval Control carbon fibre wheelset. Get ready, because this is going to be Epic. Full fact 11m carbon fibre frame combines stiffness, strength, and light overall weight to deliver an off-the-hook race bike. Meanwhile, the new geometry, RockShox Brain shock, and 100mm of travel, make the Epic the best handling, fastest XC rig you've been on. Our custom RockShox SID fork with Brain features a top-adjust Brain fade, and a custom offset to make it suitable for the new Epic. The 12-speed SRAM GX Eagle groupset brings the performance of Eagle at a doable price point. A perfect introduction to your world of XC riding and racing, the Epic Comp Carbon features all of the same frame technologies that are found in its older siblings, only with a build that lets you give racing a try without breaking the bank. The build of the Epic Comp is value-packed, featuring an 11-speed SRAM GX groupset, SRAM Level TL brakes, and a Roval Control alloy wheelset. Get ready, because this is going to be Epic. An 11-speed SRAM GX groupset handles shifting duties, bringing the convenience of one-by to your XC rig. No matter how you look at it, XC racing is hard. The punchy accelerations, rowdy rock gardens, and quad searing ascents aren't for the faint of heart. With this in mind, we designed the new Women's Epic Comp Carbon to make racing a bit more manageable, and to take your results to the next level. The Women's Epic also gets a serious upgrade in the stiffness department. The Rider-First Engineered™ tubes place complex carbon pieces in all the right places, which greatly increases stiffness in the front end for a vast improvement in ride quality and control. To go along with this, each frame size has size- specific tubes that result in the stiffest, best riding XC bike we've ever developed —no matter the frame size. The build of the Women's Epic Comp Carbon is value-packed, featuring an 1x11 SRAM GX groupset, a rear RockShox Brain shock at the rear that's custom-tuned for women, SRAM Level TL brakes, and a Roval Control alloy wheelset. Every touch point has also been hand-selected for female riders, as well, from the Sip Grips, to the bar width and crankarm length, all the way down to the superlative Women's Myth Sport saddle. Keep in the loop with all the latest events, news, specials,with our eNews updates.